CLEVELAND -- Cavaliers coach Tyronn Lue is taking a leave of absence from the team to address health issues that have included chest pains and loss of sleep. Lue said Monday in statement that tests have offered no conclusion about what the issue is and offered no timetable for his return. The coach said he feels he needs to step away "and focus on trying to establish a stronger and healthier foundation" from which to coach the rest of the season. "While I have tried to work through it, the last thing I want is for it to affect the team. I am going to use this time to focus on a prescribed routine and medication, which has previously been difficult to start in the midst of a season," Lue said. "My goal is to come out of it a stronger and healthier version of myself so I can continue to lead this team to the championship we are all working towards." A stress-filled season for the Cavs has taken a toll on the 40-year-old Lue, who led them to the 2016 NBA championship after taking over for David Blatt midway through that season. They are just 40-29, third in the Eastern Conference, and have endured roster shake-ups, injuries and other distractions as they try to return to the NBA Finals. Now they will play without their coach. "We all want great players, we all want the best teams, but with that comes a lot of pressure as well. And what Ty Lue has had to go through this year with that team, with the trades and the injuries and the pressure, it's unrelenting," Denver coach Michael Malone said. "So I hope that he gets healthy and is able to get back in time for the playoffs and help that team win as many games as possible." Lue spent the second half of Cleveland's victory in Chicago on Saturday in the locker room because of an illness, the second time this season he left a game because he wasn't feeling well. The former NBA guard also sat one out against Chicago at home in December. Associate head coach Larry Drew coached the second half of Saturday's game, the finale of a six-game, 11-day road trip. Cleveland is back home to host Milwaukee on Monday. 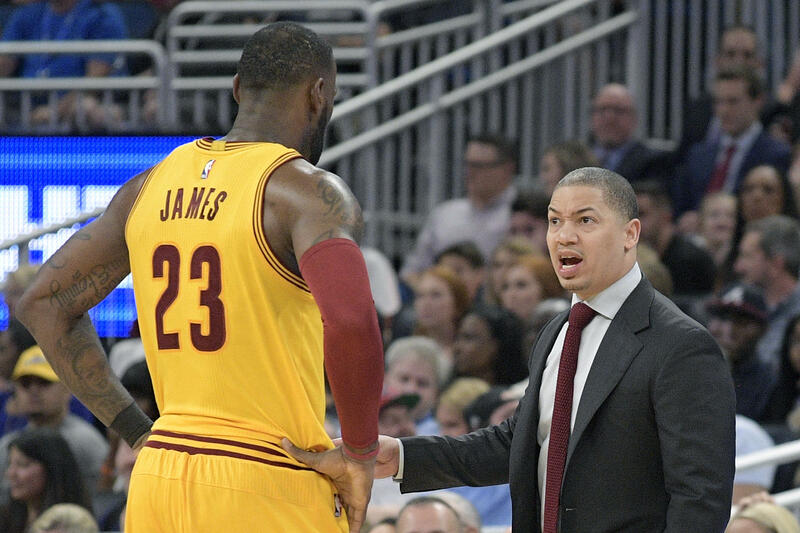 "We know how difficult these circumstances are for Coach Lue and we support him totally in this focused approach to addressing his health issues," general manager Koby Altman said. CBSSports.com notes that Lue is not the first coach in the NBA this season to take a leave of absence due to health issues. Charlotte Hornets head coach Steve Clifford also missed some time earlier in the season, but has since returned to the bench.